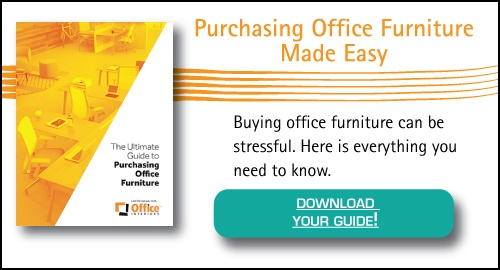 Considering an update for your office? Is your current office chair just not working for you? If comfort backed by science is what you’re looking for, then perhaps the Haworth Zody task chair might be your best option. Let’s dig into everything you need to know about the Zody. For our review of the Zody, we’ve searched the web for the best third-party information and user reviews of this task chair. 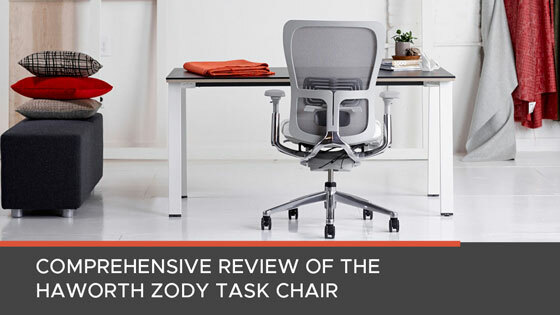 Even though we do sell task chairs, we haven’t included our opinions in our Zody chair review. We’ve gathered all the most essential data, judgments or opinions, so you can make an informed decision before purchasing your next chair. If you are looking for therapeutic comfort in your task chair, then the Haworth Zody may be the chair for you. The Haworth Zody is the first chair to be endorsed by the American Physical Therapy Association (APTA). Members of the APTA reviewed the chair on physical benefits to the user, product efficacy, and cost. In addition, the Zody has earned several other awards, including a Gold Product Award at NeoCon Canada, and a Good Design Award. Other standard features of the Zody task chair include lumbar support, four-dimensional arms, an upright backstop, and an adjustable seat. All Haworth Zody chairs are made of up to 51% recyclable material. And, the chairs are built in a Zero Waste to Landfill manufacturing facility, as noted in many Haworth chair reviews. Comfort is the focus of the Haworth Zody chair. With the asymmetrical lumbar support and scientifically designed lower pelvic support, many users report the Zody is the most comfortable chair they have ever used. For any user with a backache or soreness after long work sessions, the Zody may be the ideal solution. The chair is designed to promote both good posture and physical health, even while you work. In designing the Haworth Zody chair, the company sought to combine science-based wellness and comfort. Many of the reviewers turned to the Haworth Zody after suffering from a bad back in another chair. The Zody is the only chair to offer asymmetrical back support. This means you can adjust the lumbar support on the left and right side of your back independently. And, the mesh back on the chair is cool, providing additional comfort for long hours of work. Even if you don’t need the asymmetrical lumbar support or suffer from a bad back, the Zody offers plenty of other useful adjustment mechanisms. You’ll find a lever for seat length, arm height adjustments and pivots, seat height, and more. While the chair looks smaller than many other office chairs, the adjustment options make it feel more spacious and roomier than it appears. One problem with the back-support system, identified by a few of the users in the Zody chair reviews, was with the lumbar support system and the PAL®. While most of the chair is metal, the lower pelvic and lumbar support is of plastic. This means it can snap if you adjust it too far or stretch against the support with too much force. The tilt or reclining feature of the Haworth Zody chair is a drawback identified by users in the Zody chair reviews. The Zody offers a locking mechanism that should stop the chair from reclining, but even when it’s locked, the chair will still partially recline with just the slightest pressure. Ideally, this intentional design allows users to sway and gently adjust the chair as they work. It also prevents the chair from locking in an overly rigid, upright position as you work. However, some users complained that the chair was extremely comfortable unless you wanted to sit perfectly upright. Other users didn’t appreciate or understand the design of the back of the chair, complaining that using the lumbar support was more work than it was worth, and it was a feature they could do without. There is a short learning curve while learning how to best use and adjust the Zody, but to help cut that down even further, Haworth put together this short tutorial. 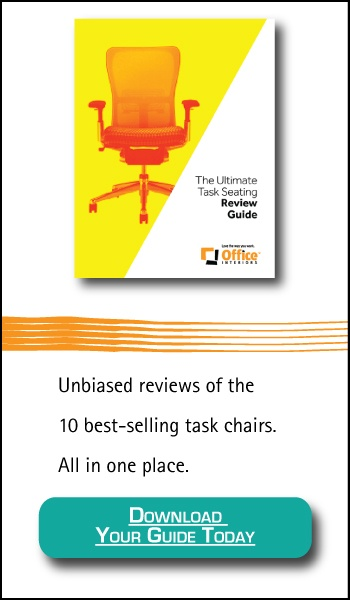 Want to browse a few more task chair reviews? Easy! We have an entire guide dedicated to reviews!